But for true music aficionados, it never really went away. That’s why with vinyl sales on the increase, the only way to listen to ‘live-quality’ vinyl is with the PH-77 Phono Equaliser. The excitement of that first crackle as the needle hits the groove grabs your heart like your first love. And the PH-77 brings those feeling flooding back, with one major difference – it delves into the groove of each and every record like never before. The PH-77 reinvents your LPs with life-like sound the way the artist intended. 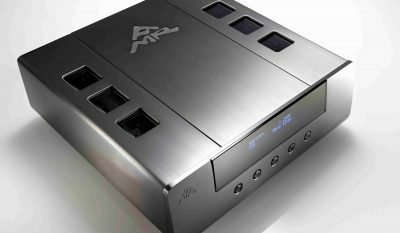 These, combined with its in-built Analogue-to-Digital audio converter, make the PH-77 one of the most sought-after vinyl players on the market. Delivering music as you’ve never heard it before, the PH-77 picks out and separates every instrument to produce enthralling live-performance audio that’ll leave you gasping for more. Contrary to common perception, the introduction of the RIAA Equalisation in 1954 did not result in all LP’s being cut using this standardised Equalisation Curve. Even as late as the 1980’s, several significant record labels (including USA ones) continued to use equalisation curves that differed from the RIAA suggestion. In addition, many original “all time classic” issues precede the widespread adoption of the RIAA Equalisation standard and so, require a particular equalisation curve. All such LP’s cannot be reproduced correctly with a phono stage offering only RIAA Equalisation. The PH-77’s OptiEQ allows the selection of 23 different EQ curves in real-time via remote control. 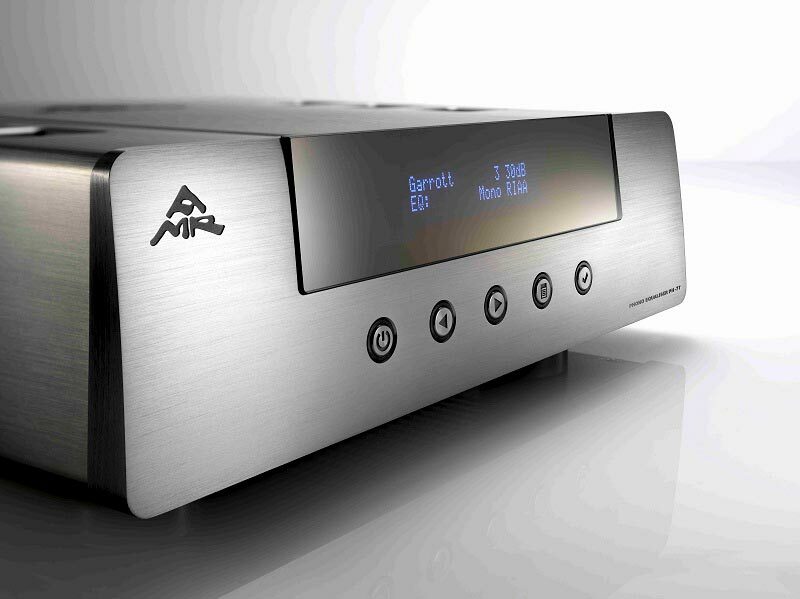 This covers all known LP vinyl ever pressed, a true first among reference phono amplifiers. This list* is far from comprehensive but sheds some light on how the magical musical performance of such coveted recordings has never been fully realised until now. *: The labels on the list also issued many records based on the RIAA equalisation as well. 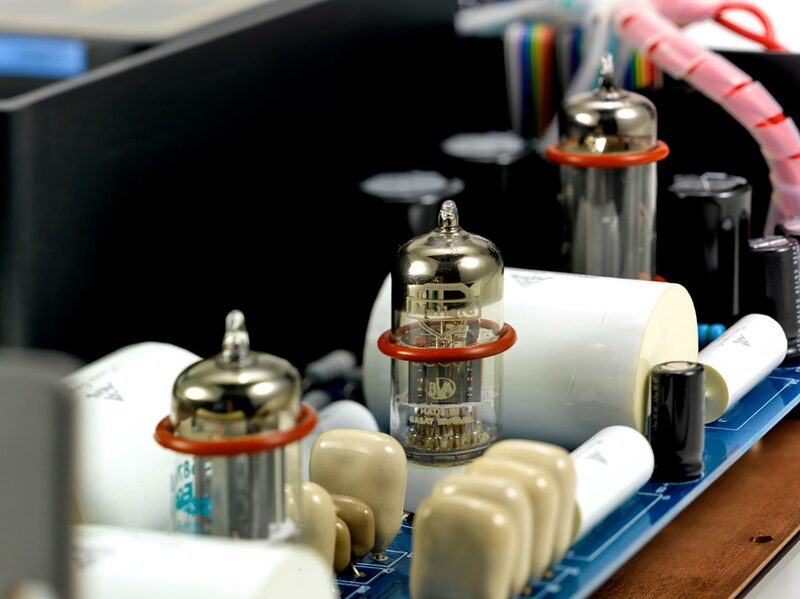 The PH-77 boasts only two gain stages that incorporate a total of 6 electron valves (3 per channel). 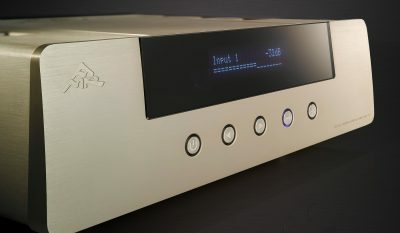 It is a purist’s valve phono stage aimed at reproducing vinyl to the very highest level but with flexibility of adjustment of gain/load over a very wide range: The 1st Gain Stage is a hybrid comprised of one half which was adapted from “Advanced GAmma Tracking Array” (AGATA) pre-amplifiers designed in the UK. The other half is the NOS Mullard ECC81/12AT7 to form a fully direct-coupled stage with no negative feedback. Pure passive RC record equalisation2 (including the standard RIAA equalisation) is then performed using 26 silver foil coupling capacitors. The 2nd Gain Stage uses the NOS Philips 5687WB electron valve for gain and to also provide a low output impedance for the PH-77 (<200Ohm). This stage has its cathode directly connected to the signal ground (no resistor or coupling capacitor). Bias is supplied by a fixed voltage. Following this, the signal is then passed through a directly coupled film & tin foil coupling capacitor of the highest quality to the output. The PH-77 is a pure single-ended, class A, zero negative feedback design. All low level signal connections including the cartridge are coupled directly. Only two coupling capacitors are employed overall. One is a custom made silver leaf capacitor that follows the equalisation block. 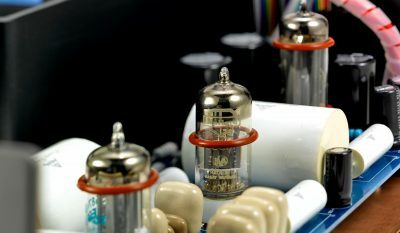 The output capacitor is the same German-made film and foil capacitor as used in the multiple award winning CD-77 CD-Processor. The circuit is designed to preserve absolute polarity at all gain levels and for all equalisation settings. All valves used in the PH-77 are rare NOS valves, e.g. Mullard ECC81/12AT7(2 pcs), and Philips 5687WB(2 pcs), EZ80(2 pcs). 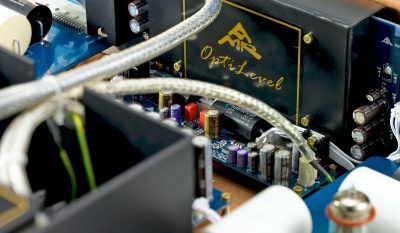 The EQ section (including RIAA) is made up of custom-made silver leaf capacitors selected to less than 1% tolerance. For the standard RIAA EQ, all parts are directly soldered into the circuit using silver solder. The parts adjusting the historical curves are then switched into the circuit by gold over solid silver contact relays to ensure the best possible analogue performance with all EQ curves. In order to ensure that any remaining dielectric effects in the capacitors are minimised, all capacitors carry bias voltages many times that of the signal voltage applied. 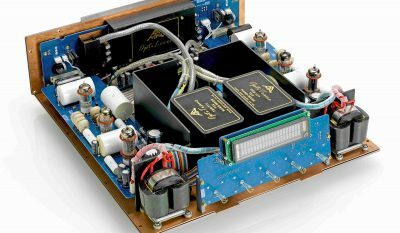 This unusual approach operates the capacitors in a mode that is similar to single-ended Class A operation for amplifiers, to attain maximum linearity at incredibly low signal levels. The end result is a signal path that preserves the purity of the music that is second to none. 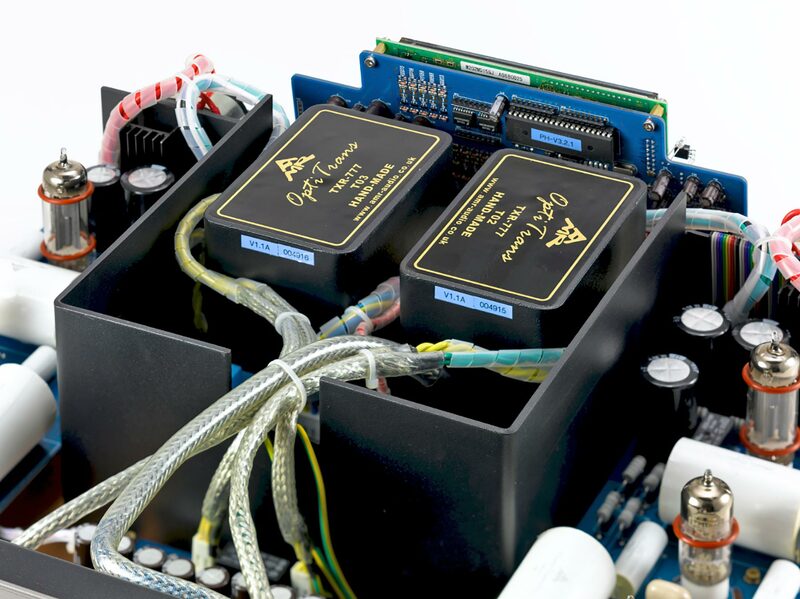 The PH-77 uses sonically superior valve based rectification with NOS EZ80 (2pcs) and 2 x double C-core 20H choke filtering implemented fully dual mono, for the absolutely best possible power supply quality. Conventional power supply regulation, valve or solid-state based, invariably uses negative feedback, which frequently results in sonic degradation of the signal circuit. 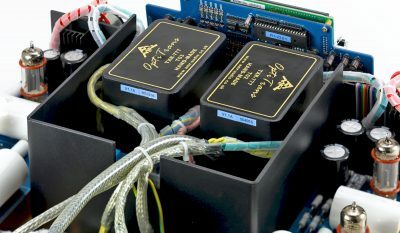 Instead of traditional regulators, the PH-77 employs a far more elaborate set of 4 virtual battery supplies, which are characterised by zero negative feedback and lowest possible noise. These are followed by a further 28 stages of passive power supply filtering, 8 of them utilising very costly large value film capacitors for the highest sound quality. 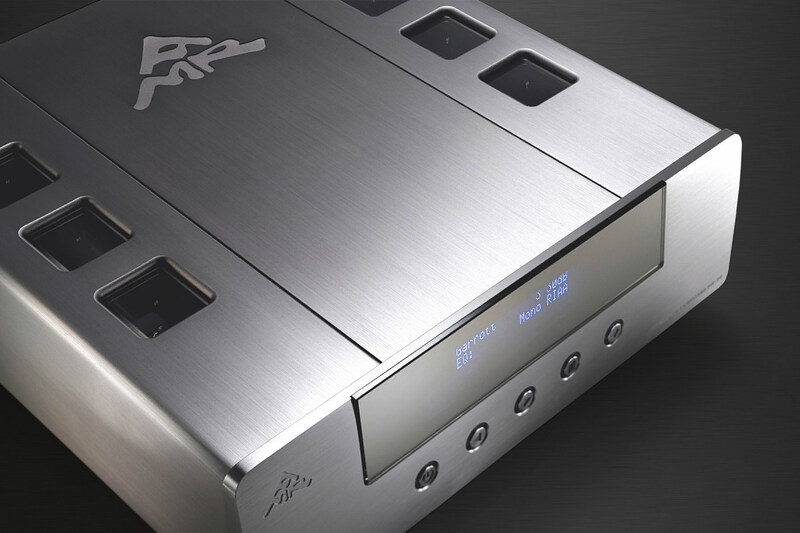 The resultant power supply allows the delicate signal circuit to work unperturbed by any power supply issues, giving the PH-77 a supreme ability to convey the full dynamics and emotion of the music. 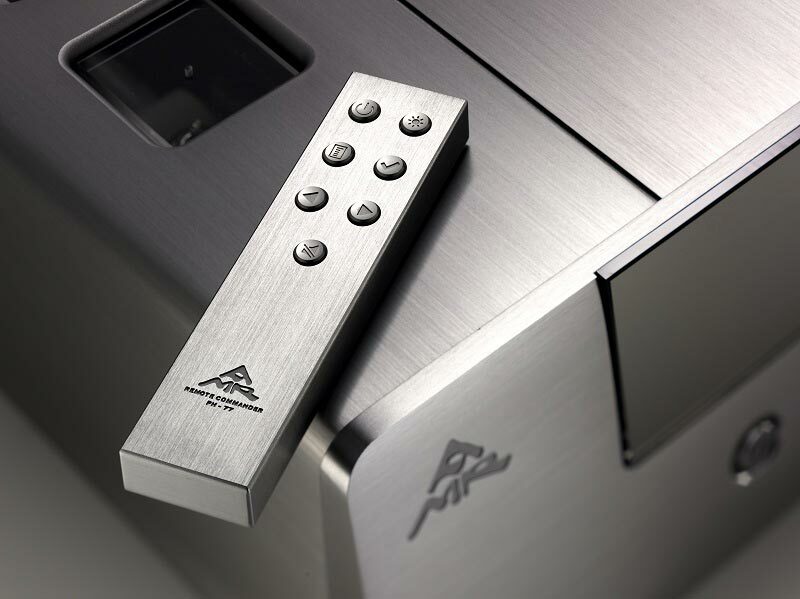 In order to allow easy and precise matching of any cartridge, AMR has made the PH-77 adjustable using either the included aluminium remote control or via the front panel controls. levels of gain 72dB, 66dB, 60dB, 54dB, 48dB, 42dB, 36dB, 30dB for complete cartridge compatibility, optimally matching Cartridges with output levels from below 0.1mV to over 12mV. 64 steps of load for pinpoint resistive and capacitive loading. 3 switchable inputs to select the desired cartridges and tonearm combination, be it elliptical or spherical stylus cartridges, stereo or mono cartridges, fixed or flexible tonearms, linear tracking or pivoted with Moving Magnet or Moving Coil cartridges. 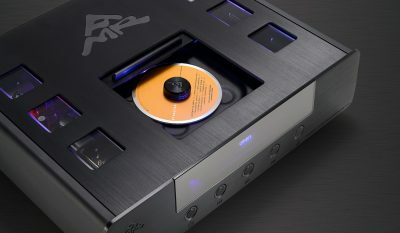 The PH-77 features a reference grade 24bit/96kHz Analogue-to-Digital Converter for the highest quality transfer/archiving of vinyl to computer. This is achieved through a direct USB connection to a personal computer for preserving the integrity of the signal. This feature means the PH-77 is one of the most powerful phono sources with which to transfer vinyl pressings into the digital domain. Selecting a Mono EQ curve automatically switches the PH-77 into Mono Mode. Q: How many equalisation curves are available on the PH-77? The PH-77 has a total of 23 equalisation curves. Q: What is the Enhanced RIAA equalisation? The frequency response of any record cutting lathe will fall at a higher frequency and become less efficient, hence a lower level of high frequency detail was cut into the LP at the time of manufacture. 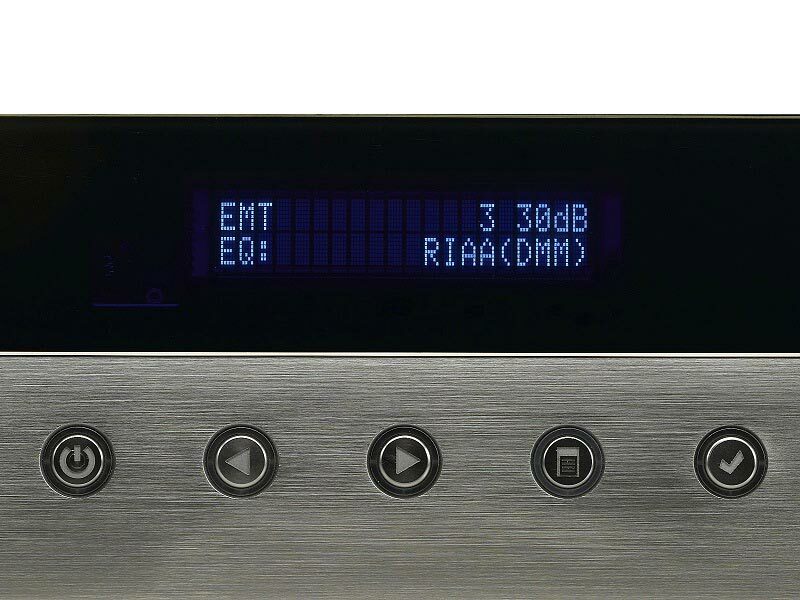 The Enhanced RIAA EQ is an amendment of the standard RIAA that approximates closely the actual frequency response of the cutting system and compensates for this particular roll-off; bringing the missing level of high frequency detail back into the recording. Q: If the RIAA equalisation curve was standardised in the 1950s, why are different equalisation curves required? The simple answer is that as not all LP’s have been equalised using the same RIAA equalisation, additional equalisation curves are needed.At the introduction of the Long Play record (LP) in 1948, most record companies implemented their own particular equalisation curve and continued to experiment with equalisation in order to extract the best performance from the new medium. This led to a baffling array of different and incompatible equalisation curves being applied worldwide. In the mid-1950’s, most of the record companies agreed to adopt the RCA Orthophonic equalisation curve, the Recording Industry Association of America (RIAA) promulgated this curve as a common standard which became known as the “RIAA equalisation”. However, as this was essentially an American standard, it had little impact outside of the USA. The RIAA equalisation only became a truly international standard by the mid-to-late 1970’s when European recording labels slowly and finally began to adopt the RIAA equalisation. 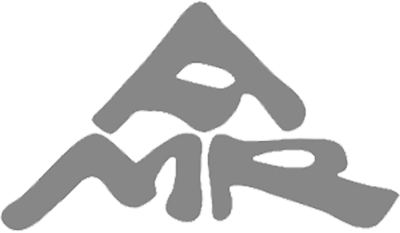 It was even later when some Asian recording labels joined the bandwagon and adopted the RIAA standard. Right up to the fall of the Berlin Wall in 1989, many Eastern European recording labels (including Russian recording labels) were still, using their own CCIR equalisation. To further complicate matters, even after officially agreeing to implement the RIAA equalisation curve, many recording labels still continued to use their own, proprietary equalisation, even well into the 1970’s. Columbia is one such prominent example in the USA, Decca/Telefunken/Teldec in Europe is another. I consider the whole subject should be a warning to today’s audio industry; practically everything which could go wrong did go wrong, and it isn’t anybody’s fault. But much worse is everyone’s apparent attempts to hide what happened. Q: What will happen if an incorrect equalisation curve is used for the playback of a particular record? A Decca Stereo LP (UK mastered or pressed – correct equalisation: Decca EQ) or Deutsche Gramophon LP (Germany mastered or pressed – correct equalisation: Decca EQ), will typically sound bright and edgy with a recessed midrange. A Columbia Stereo LP (correct equalisation: Columbia EQ) will typically sound boomy in the bass, lacking in warmth and body and overly bright at higher frequencies. A European LP (correct equalisation: CCIR EQ) will sound dull, lifeless and lacking in detail. Armed with this understanding of how equalisation affects playback, given the considerable investment in an LP collection and an audio system, AMR believes that at the outset, the correct equalisation for each and every LP should not be overlooked as it is just as important as the rest of the playback chain. Q: How does one determine which equalisation curve is the correct one for a particular LP? While the notes in the PH-77 User Manual provide informative guidelines, the application of equalisation curves by various different recording labels was in fact, quite inconsistent. Therefore, the final choice really often comes down to listening. A 1960’s Decca USA LP, cut and pressed in the USA from master tapes shipped from the UK, would likely have been equalised to the RIAA standard. A 1960’s Decca USA LP, cut in the UK but pressed in the USA, even after the introduction of the RIAA standard, is likely to have been equalised to the the Decca UK in-house standard at that time, which is likely to have been Decca FFSS. Q: Is the RIAA equalisation in the PH-77 of a passive or active type? In order to attain the absolute best possible sound quality, all the equalisation curves in the PH-77 are purely passive. Q: Does the PH-77 implement the equalisation curves in the digital domain? No, all equalisation curves in the PH-77 are implemented purely in the analogue domain. 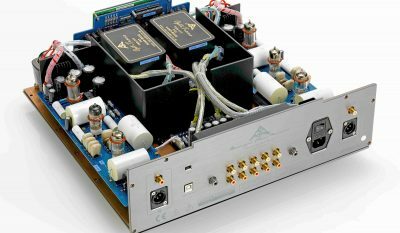 Q: Why does the PH-77 not use digital equalisation? The common RIAA equalisation requires low frequencies to be boosted around 20dB and high frequencies to be attenuated by around 20dB. To implement the equalisation in the digital domain, at high frequencies, one would have to remove some 40dB of dynamic range available from the Analogue-to-Digital Converter. A state-of-the-art 24-Bit Analogue-to-Digital converter will have ~114dB of dynamic range. This means only 74dB of dynamic range is available at high frequencies. That is equivalent to less than 13-Bit actual resolution and correspondingly will result in a much lower level of resolution than the red book CD standard and is in fact, more in-line with the MP3 format. Q: How comprehensive is the PH-77’s catalogue of 23 equalisation curves? Very comprehensive, if not totally exhaustive. AMR’s awareness and research into this topic has equipped the PH-77 with a full and comprehensive catalogue of just about every equalisation curve that has ever existed. For a particular LP, information from the PH-77 User Manual and from many available vinyl resources should resolve which EQ curve should be used. Further, a little known fact is that in many cases, identical equalisation curves existed but were named differently by different recording labels. For example, some small recording labels advertised certain “special” curves such as “New FFRR” and “New NAB” which were in fact, RCA Orthophonic curves. Q: How did AMR decide which equalisation curves to implement? The extant literature commonly available features many inaccuracies, errors and omissions. 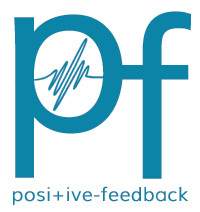 This is made worse by the fact that many authors have simply relayed data from earlier articles containing erroneous data, so the mistakes have been repeated so many times, that they have become the authoritative take on the subject.For example, our research highlighted the prevalence of inaccurate information pertaining to the actual frequency response of several equalisation curves. For example the Decca Stereo EQ (FFSS) has actually a lower turnover frequency of 70Hz, and not 125Hz as erroneously quoted in some cases. In several other cases, ostensibly different equalization characteristics turned out to be different names for the same principle equalisation. As a result, AMR consulted with a wide range of professionals in the (LP) archiving and transcription fields and used as complete as possible sources in our research, that is best described as audio archaeology. Much of the Knowledge that is still extant exists only in the minds of these professionals, many of which are of advanced age. The best written compendium on the subject is the late Peter Copeland’s “Manual of Analogue Sound Restoration Techniques”, which contains some 60 pages devoted to the subject of equalisation curves. Q: How may one tell which equalisation curve to use on a given record? While label, logo shape, country of origin (of the LP, not the sleeve) and year of issue give some indication, they are NOT 100% reliable indicators. However they usually assist one to narrow down to a short list of equalisation curves that may apply. To determine which equalisation curve is the correct one, the easiest way is to listen and select the equalisation curve (from a short list of likely ones) that produces the most realistic and natural sound. Q: Why is there no EMI equalisation curve? EMI as large international conglomerate even in the 1950’s included many record companies and labels. The equalisation curves used often reflected the practices of the global region (e.g. US, UK/British Empire/Commonwealth, Western Europe). For example, British (and Empire/Commonwealth) EMI records have in practice matched Decca equalisation in most cases. Q: Why is there no Teldec equalisation curve? In 1957 an attempt was made to introduce a German Industrial Standard (DIN) that included record equalisation which matched the CCIR (1956) Standard. This attempted standard has on occasion, been erroneously referred to as the Teldec equalisation. It in fact, should correctly be referred to as either DIN 45533 or CCIR. Q: What is the CCIR equalisation curve? In 1957 an attempt was made to introduce a German Industrial Standard (DIN) that included record equalisation which matched the CCIR (1956) Standard. In Germany and Western Europe the CCIR equalisation curve had mostly been discontinued from use by the mid- 1960’s. However, right up to the fall of the Berlin Wall in 1989, many Eastern European recording labels (including Russian recording labels) were still using the CCIR equalisation. Some West German records from later years may also be erroneously equalised using RIAA or Decca EQ as the cutting and pressing was often contracted out to East Germany (just like the manufacturing of Siemens, Telefunken and Valvo Electron Valves), where on occasion, the cutting was actually done with CCIR equalisation in place, instead of re-adjusting for the specified RIAA or Decca EQ. Q: What is the RIAA (DMM) equalisation curve? In the mid-1970’s Neumann and Teldec developed a new cutting system called Direct Metal mastering (DMM) where the grove was cut directly into a metal foil, not into a lacquer layer. This eliminated several plating steps in the manufacturing process, allowed for tighter groove spacing and more high frequency level. These differences in the manufacturing process and the different mechanical resonance behaviour of media the groove is cut into (hard metal vs. soft plastic laquer) give DMM records a very different tonality to traditionally manufactured records. Sonic differences exist even though almost all DMM records have been, to the best of our knowledge, equalised to RIAA standards (excluding East German Amiga/Eterna DMM records and occasional accidents in the East German cutting rooms when undertaking contract work for the West). The sound from DMM records is often perceived as overly bright and forward. While this is not directly a result of the equalisation employed, the tonality of overly bright DMM records can made more well-balanced or even handed by gently attenuating the upper midrange and lower treble. The RIAA (DMM) curve implemented in the PH-77 is such an implementation. It is strictly speaking not an international standard (such as RIAA & CCIR) nor a de-facto standard (the Enhanced RIAA curve is an example of a de-facto standard due to the equalisation built into the Neumann Cutting lathes), but rather, a replay adjustment to ameliorate this common sonic shortcoming of DMM records. Q: How many different levels of gain does the PH-77 have? Q: Why so many different gain selections? Isn’t one for Moving Coil (MC) and one for Moving Magnet (MM) sufficient? No, one gain setting for MC and one gain setting for MM is often not sufficient.Taking MC cartridges as an example, the output levels of MC cartridges vary widely from ~0.1mV to ~2.5mV. This is a range of 28dB difference within MC cartridges only. The situation is similar with MM cartridges. 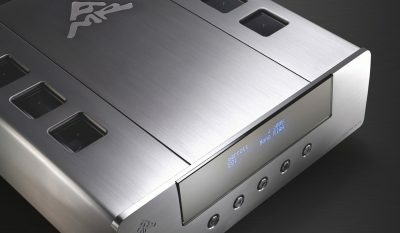 If the cartridge output is too high, overload the phono equaliser or the preamplifier/amplifier and clipping the sound output. More significantly, the clipping may damage downstream equipment including the speakers. In order to optimise both the signal to-noise ratio and to avoid overloading the system, it is very important to properly match the gain of the phono equaliser to the output of the cartridge used. Hence, having varying levels of gain selections on a phono equaliser is considered essential. Q: When adjusting the gain level via the remote control, is it possible to continue to listen to the music in real-time? Yes. However, a 10 second mute is applied in order to allow the valve circuitry to stabilise. Q: Is the highest gain level of 72dB enough to cover for each and every cartridge? A gain level of 72dB is more than sufficient for just about every cartridge. On most LP’s, cartridges with a very low output (e.g. 0.1mV@ 5cm/s) at a gain setting of 72dB, will produce an output level sufficient to match that of a well recorded CD. Cartridges with an ultra low output (much lower than 0.1mV@ 5cm/s) are usually accompanied by their own dedicated matching/step-up device. As such, this type of cartridge may still be used in conjunction with the PH-77. 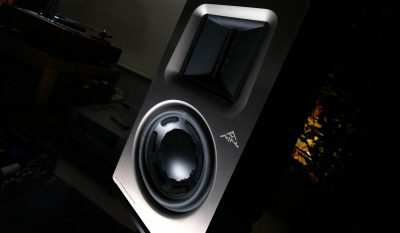 Q: Does the PH-77 use transformers in the MC gain stage? No, the PH-77 does not use step-up transformers of any kind. 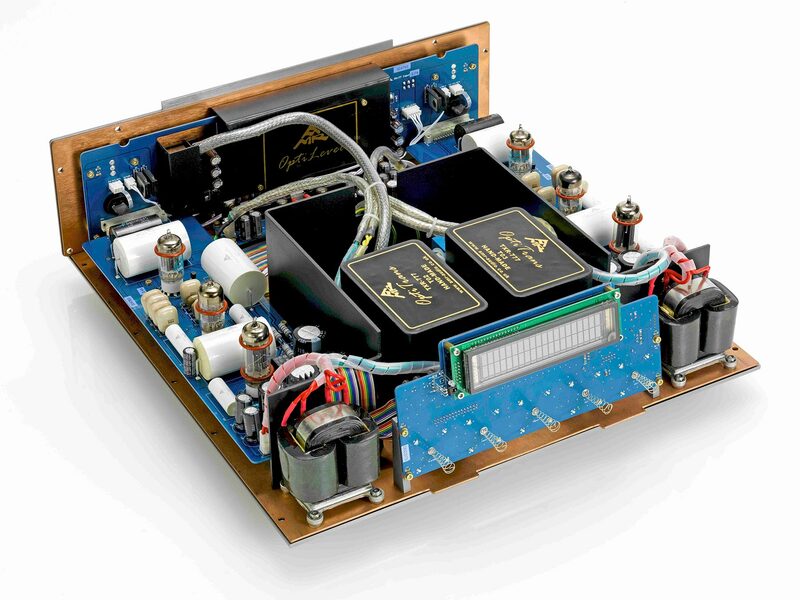 The quality of MC step-up transformers is often the bottleneck in phono equaliser designs. Together with an inability to match more than one/two cartridges to the transformer used, this “jack of all trades but master of one” approach means the use of an MC step-up transformer in practice, is often more detrimental than beneficial. Q: How many different levels of load does the PH-77 have? Q: Will the sound quality change when altering the load impedance of a cartridge? 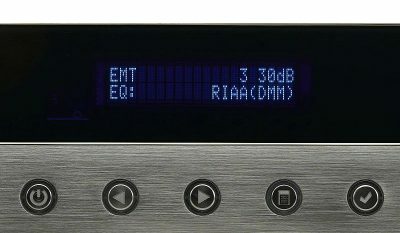 Is it true that different cartridge load impedances will give different sound characteristics? Dependent upon cartridge design and parameters, the effect of changing the load can vary from the very subtle to the very dramatic. Q: How to set the best load for a particular cartridge? Due to interactions with the tonearm’s mass and resonant behaviour, even cartridges that are the same make/model may only perform at their best at different levels of load. 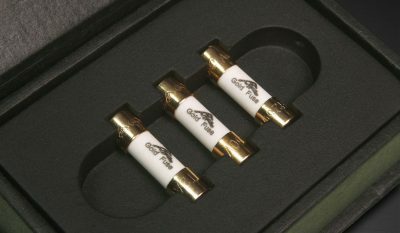 Notwithstanding, a good starting point is the value recommended by the cartridge manufacturer. Then adjust either side from this point. When the load is the correct one, the sound will “lock-in” to sound “just right”. Feel free to experiment; different load values will sound different. When adjusting the load, there is no risk of damage to either the cartridge or the PH-77. 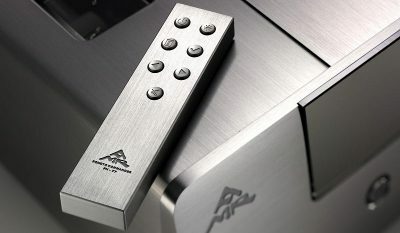 Q: When adjusting the load via the remote control, is it possible to monitor the music in real-time? Yes, PH-77 has custom load RCA sockets available for this purpose. Q: How many inputs does the PH-77 have? One Direct input (non-switched) or 3 Normal inputs (switched). Q: Why offer 3 normal inputs? Different types of records work best with different types of cartridges. For example, one input for elliptical/line stereo stylus; one input for spherical stereo stylus and one input for mono playback. Further, this option also allows for a comparison/evaluation of different vinyl setups “on the fly”. Q: What valves are used in the PH-77? The PH-77 uses computer matched New Old Stock Mullard ECC81/12AT7 and New Old Stock Philips ECG 5687WB for amplification and New Old Stock EZ80 for valve rectification duties. Q: Why does the PH-77 employ 28 stages of passive power filtering but no active power regulation? 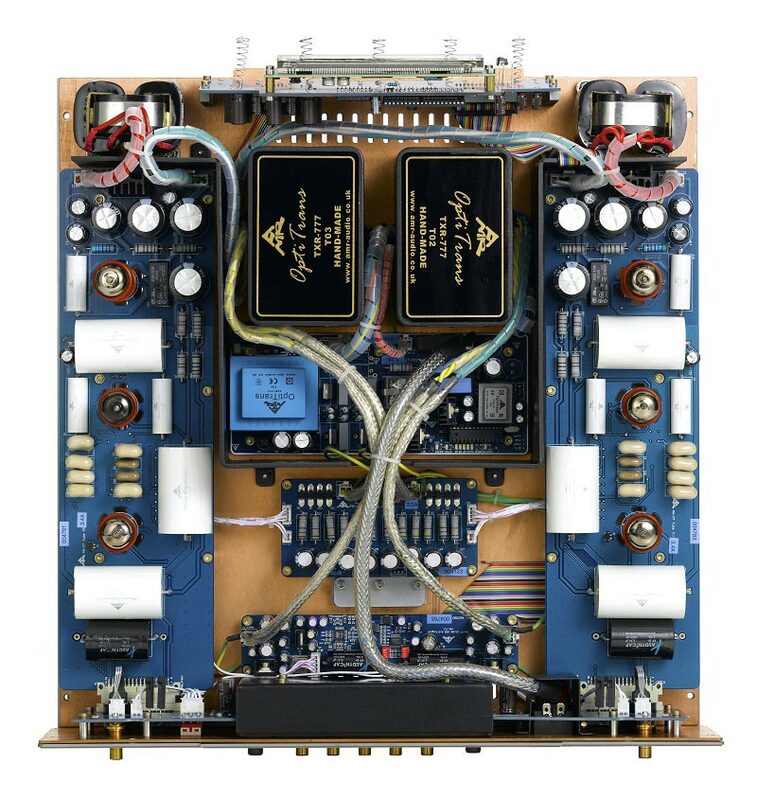 Active power regulation circuitry in the traditional design sense often degrades the sound and imparts a mechanical, artificial characteristic to the music which is clearly undesirable. 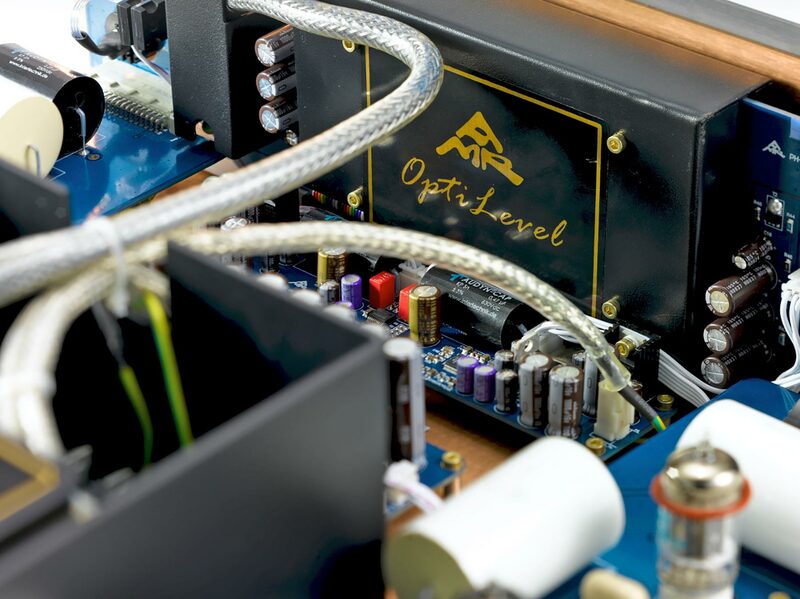 By using AMR’s patent pending OptiMains® technology, the PH-77 optimises the supply voltage without any sonically degrading active power regulation. Further, the use of a 28-stage passive power filter allows the PH-77 to achieve noise levels that are unmatched by active power regulation. Q: How quiet is the PH-77? With an equivalent input noise performance of <-145dBV (< 0.056uV), the PH-77 is one of the quietest phono equalisers ever made. Q: With so many EQ curves, does the PH-77 introduce much switching circuitry into the signal path? No. For the Direct input and RIAA equalisation, the PH-77 contains no switching in the signal path whatsoever. 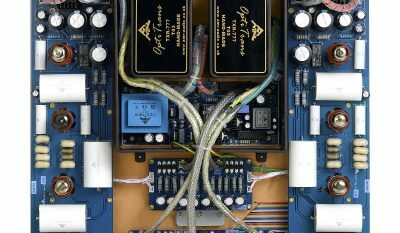 When using the Normal inputs and the other equalisation curves, additional passive components are connected in shunt mode via hermetically sealed, gold over silver contact relays. This uncompromising approach is second only to the ideal of no switching. Q: Are there any operational amplifiers in the PH-77? No. The input stage of the PH-77 is a unique circuit devised from quantum particle research using discrete components; no operational amplifiers whatsoever are used. The rest of the PH-77 is purely valve-based. Q: How does the valve phono equaliser of the PH-77 deal with hum and noise? In our opinion, a well-designed valve-based circuit should be just as quiet as a solid-state circuit. 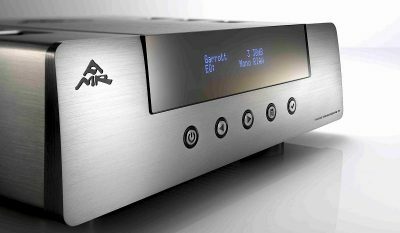 AMR has achieved this with the PH-77, as it is one of the quietest phono equalisers (solid-state or valve-based) on the market today. Q: How does the sonic performance of a multi-EQ phono equaliser (i.e. 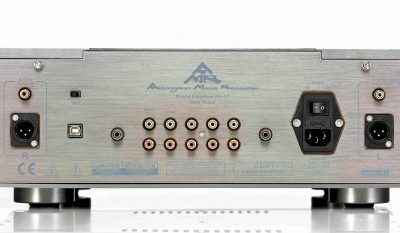 PH-77) compare with phono equalisers that only offer the RIAA equalisation? 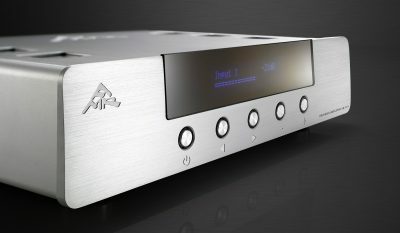 With AMR’s unique approach and thorough implementation, the PH-77 boasts the same excellent performance as any dedicated RIAA phono equaliser. In fact, the PH-77 is one of the most organic and finest sounding phono equalisers ever produced, while at the same time, offering a comprehensive range of dedicated equalisation curves, including RIAA. Q: What is the Analogue-to-Digital converter in the PH-77 used for? The Analogue-to-Digital Converter enables one with ease, to digitally archive an LP by recording music (i.e. transferring) directly to a computer via the USB connection for the highest quality. 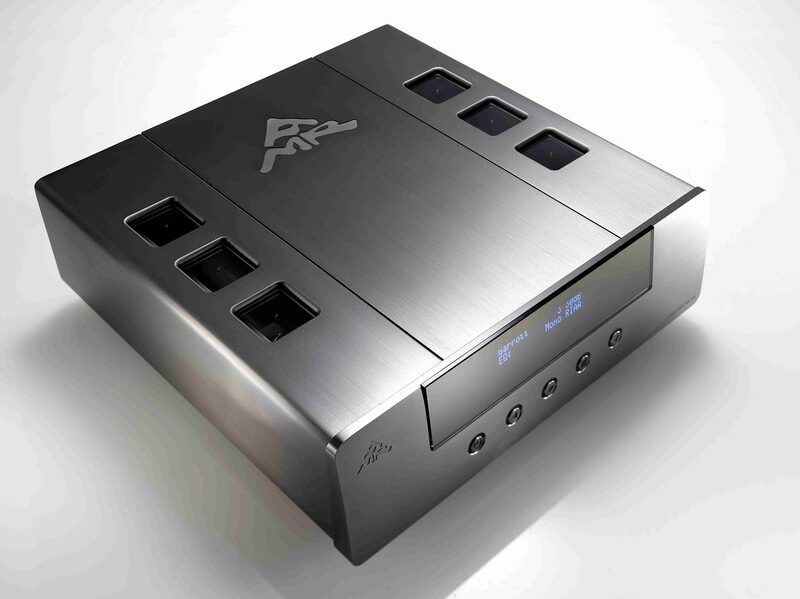 When the PH-77 is used for dedicated listening to vinyl, as the Analogue-to-Digital Converter section is not required, it is powered off and completely disengaged from the audio signal path. Hence, it has no sonic impact during playback. Q: Does one have to use a fixed 96KHz sample rate and 24-Bit resolution? What if one would like to create CDs from LPs, will the file need to be converted or down-sampled again? No. 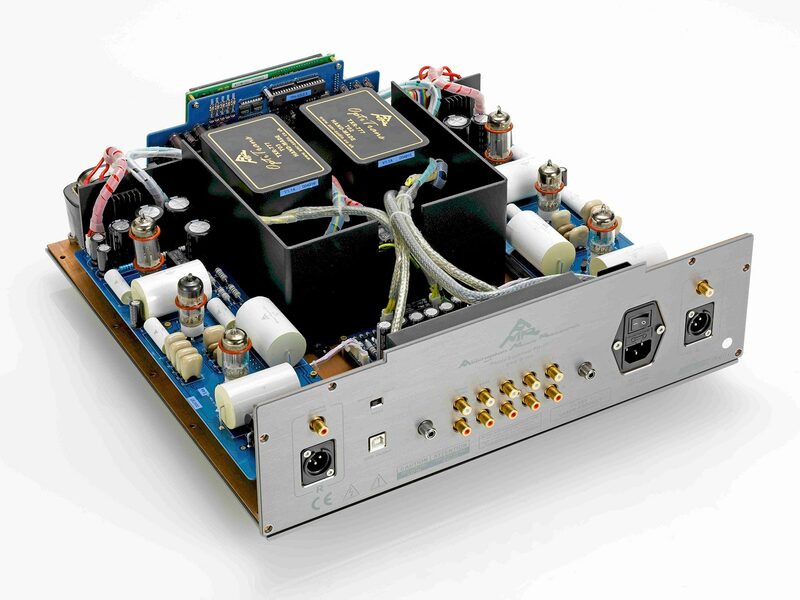 The Analogue-to-Digital converter supports sample rates and resolution up to 96KHz and 24-Bit. The actual sample rate is user-selectable through the particular recording software on the computer, e.g. 16-bit or 24-bit, 44.1, 48, 88.2 or 96KHz etc. Q: What software does AMR recommend to record (transfer) music from LP into the digital domain? As there is virtually no limit to the number of recording software titles available and it is ever changing, no official recommendation can be made. However, we have noted that Cool Edit/Adobe Audition and Audacity are relatively easy to use programs. Another program which is more complex, but is liked by many professionals, is Cedar. Q: How long is the warming-up time after power ON? Approximately 90 seconds. We recommend serious listening after the valves have warmed up for one hour. Q: To digitise/archive a vinyl collection, what differentiates the PH-77 from others? 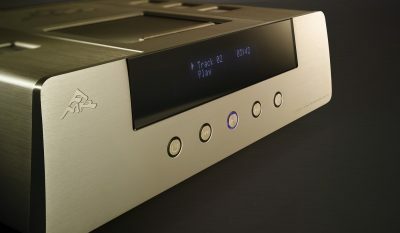 The built-in Analogue- to-Digital Converter is able to operate up to 24-Bit/96KHz and will directly stream the equalised music from the LP into a computer via a USB connection. This user-friendly approach fully preserves the unique sonic qualities of the PH-77 and the rest of the settings applied (e.g. EQ, gain and load) to maximise the sound quality. Q: What is AMR’s cabling advice for the PH-77? Yes, the valves in the PH-77 are constantly operated in a very conservative manner. However, when not in use, placing the PH-77 in Standby mode (or Power OFF) is highly recommended, purely to maximise valve-life. Q: How long will the valves last in the PH-77? The New Old Stock valves used in AMR products are qualified by the valve manufacturer for operation at maximum rating (maximum allowed power) up to a maximum of 10,000 hours without degrading performance. Mindful that valves operated at near maximum ratings (maximum allowed power) have a drastically reduced valve life, the PH-77 operates its valves in a very conservative manner and implements soft-start procedure to prevent any additional stressing of the valves during switch-on. U.S. military data suggests an average lifespan of 100,000 operational hours under such conditions. If the average listening time is 10 hours per day, this equates to around 27 years. Individual valves may fail earlier or last longer than the average predicted lifespan. Q: Can the PH-77 be left powered ON for a long period of time? 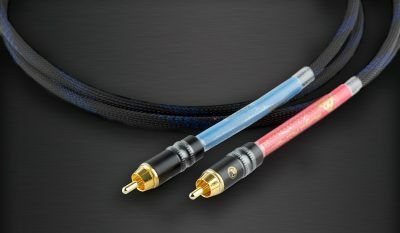 A high-quality tonearm cable with as few breaks in the connection path as possible is recommended. 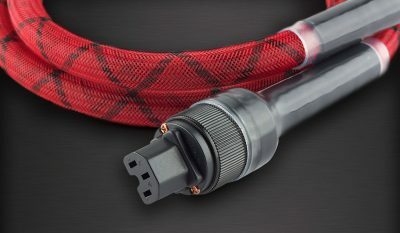 Use high-quality, neutral sounding line-level interconnects for the output connections, such as AMR’s IC-77-RCA or IC-77-XLR. This will allow for the purity of the music to flow unhindered. 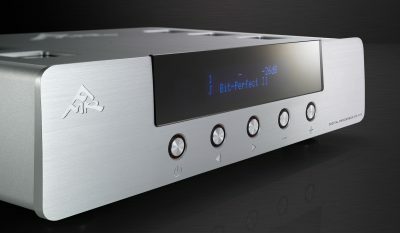 AUDIOphile magazine of Germany wrote a brief but glowing review of the PH-77. 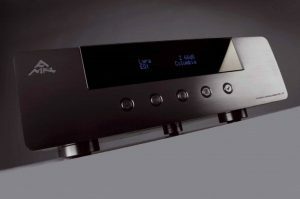 Audio was especially enamoured with the sound quality of the PH-77 and enjoyed old and new records alike with different EQ curves and gave it a “Recommended Component” award. 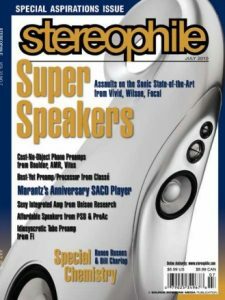 We were most pleased the AMR PH-77 passed the Michael Fremer listening test with flying colours…”In­strumental harmonic structures were vividly painted with a full palette of colors.” More quotes are enclosed but please refer to the July 2010 Stereophile for the full in-depth review. Mr Roland Kraft said “The Egg Laying Wool Milk Pig” PH-77, “…performs at such a high level, in my opinion, a lot of discussion completely unnecessary.” English translation to follow.